Model 2005, 2007 import and islamabad registered. Well maintained car & in Pristine condition. Neat and clean interior /exterior. Each and every function is working. Tiptronic gear and multimedia stearing. Not a single work required, Just buy and drive. Set your Alerts for BMW 5 Series in Islamabad and we will email you relevant ads. 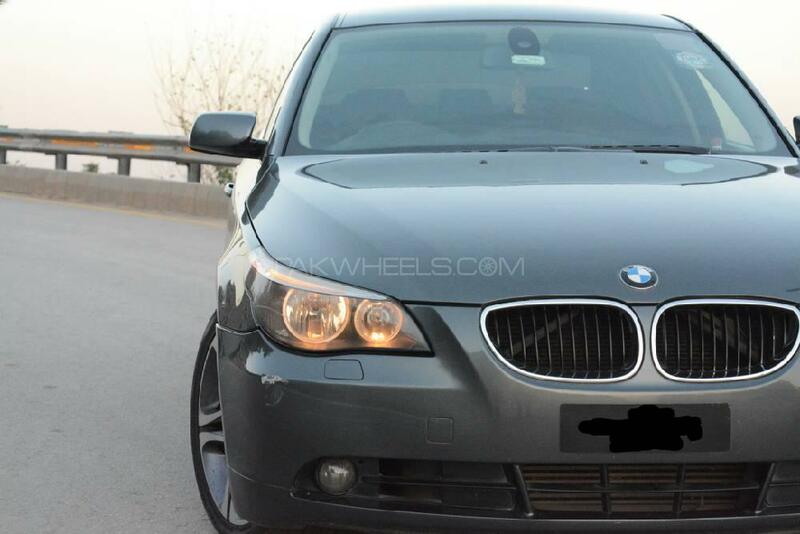 Hi, I am interested in your car "BMW 5 Series 525d 2005" advertised on PakWheels.com. Please let me know if it's still available. Thanks.